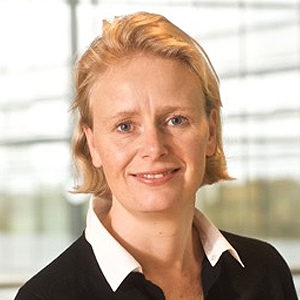 Anja Langer Jacquin was most recently Managing Director of the Europe, Middle East, Africa, and Russia (EMEAR) Region for Cisco’s Consulting Services business. She was responsible for the sale and delivery of all consulting projects, focused on linking business and information technology to help Cisco’s main customers take advantage of the Internet of Everything. Prior to this role, Jacquin built and ran a cross-functional, complex-deal pursuit team driving new business models for customers and for Cisco. During her 15 years at Cisco, she held various management positions in sales, services, internal consulting, operations, and business development. Prior to working with Cisco, Jacquin was with Mercer Management Consulting based in Munich and London. She started her career in international market research in Brussels. Jacquin holds a triple Master’s degree in Management from ESCP Europe as well as a Bachelor in Communication and Marketing. Jacquin is a Danish national currently based in Geneva, Switzerland with her French husband and two children. She speaks fluent Danish, English, French, as well as working level German and Dutch.